Even though marijuana is now legal in Washington State, business is risky as ever. Without extensive security, a pot dispensary is nothing more than a giant target. A pound of weed goes for more than $2,000 wholesale. And federal pressure on banks forces growers and stores to rely almost entirely on cash. A robber who swipes the jars on display alone could make away with $20,000 of product, plus whatever stacks of bills are behind the counter. Dispensaries bulk up on security as much as they can. A typical store has more than a dozen cameras, motion detectors, infrared sensors and flood lights. Some even line the ceilings with tripwire to avoid rooftop burglars sawing their way in. At most dispensaries, no one gets in without passing by three doors, showing identification and presenting a doctor's note. But that security is hard to maintain. Some store owners who use ADT, the nation's largest security provider, say the company has dropped them in recent months. ADT told CNNMoney it won't "sell security services to businesses engaged in the marijuana industry because it is still illegal under federal law." Related: Is marijuana legal or not? Kevin Griffin, founder of West Coast Wellness, said ADT dropped him without warning in mid-April. He still has a silent panic alarm button Velcro-strapped beneath the front desk -- but it doesn't call anyone. Griffin blasts ADT, saying, "They already knew what we were. We were completely transparent. It's not fair to put us in a jam and not give us any time to prepare." The security needs create an opportunity for startups like Canna Security, a Colorado company currently expanding to Washington. Its founder, Daniel Williams, recalls the video cameras that catch footage of what pot stores and growers are up against. There were teenagers who rammed an Audi into a warehouse, bursting through its door. They walk out having discovered that the marijuana plants they intended on stealing were actually moved elsewhere the previous day. Then came the cat burglar who cut a hole in the roof of another marijuana warehouse and rappelled down from the rooftop. After filling a duffel bag full of the stuff, he realized the doors were locked from the outside. He couldn't climb back up to escape. Next came the ninjas who robbed a dispensary in broad daylight then sped off on street bikes. "We get the goofballs," Williams said. But Williams stresses that the losses to these businesses are no joke. Demand for his services is on the rise. 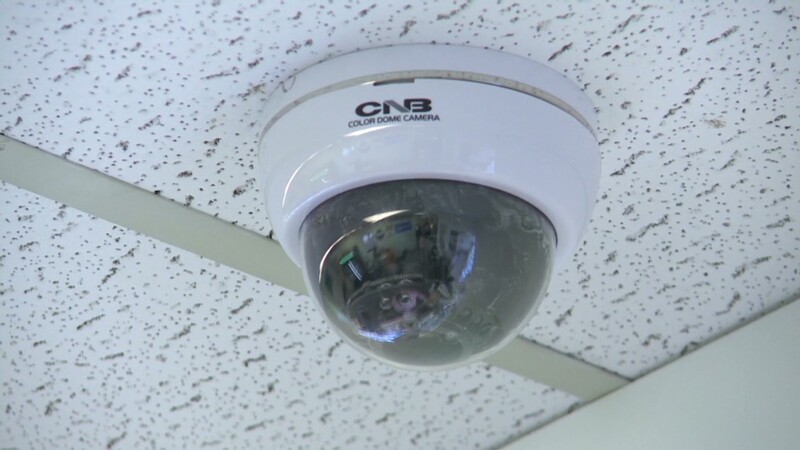 Williams' employees are working 12-hour shifts every day, installing cameras and alarm systems across both states. His biggest concern is his inability to finance his company's rapid growth. Williams discovered that when his bank -- which gladly accepted his cash deposits -- recently denied him a credit line. "I'm concerned that we'll get too much business and won't be able to manage it," he said. "It gets frustrating when I get a whole new channel of business and funding isn't there to adjust to it." Meanwhile, dispensaries like West Coast Wellness have few options. For Griffin, this heightened level of risk is nothing new. It's an industry on the fringes of legality, and uncertainty is the name of the game. He reminds this reporter that he stands as much to lose from robbers as from federal authorities eager to shut him down. "They're worse than criminals," Griffin said. "They have the right to walk through the front door and take whatever they want."